So I have a confession to make, I've joined a cult. 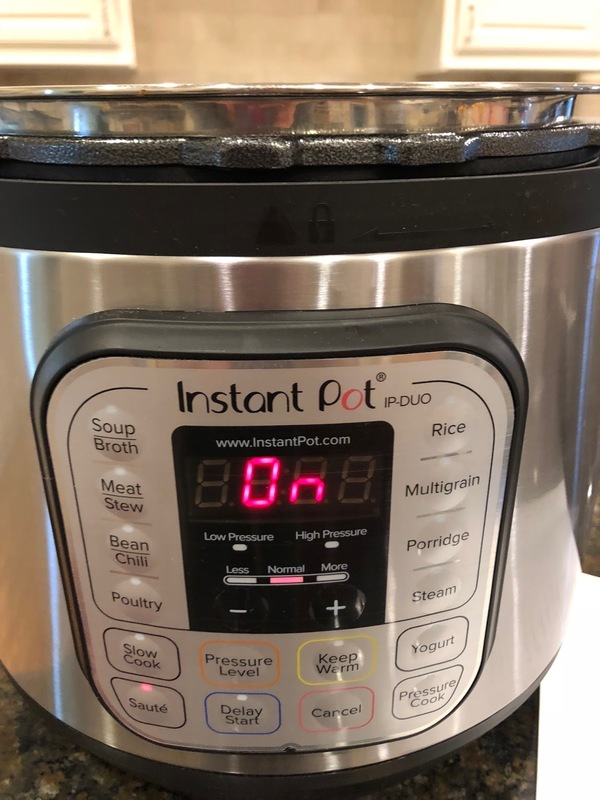 On Black Friday I took the plunge and ordered an Instant Pot, and now I am a proud member of the Instant Pot Cult. 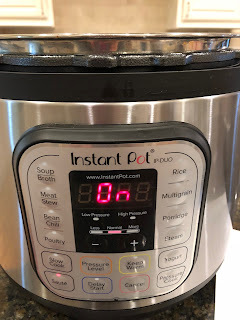 Okay, I'm kidding there really isn't an Instant Pot cult, but using one has a huge devoted following. If you haven't ever heard of an Instant pot, the best way to describe it is it's a pressure cooker that can cook almost anything. This week I have made beef stew, which cooked in a whopping 35 minutes, it was amazing! I also made sesame chicken that only cooked for 4 minutes, the family loved it. The machine does take about 10 minutes to come to pressure, and then it also takes a few minutes to release the steam when it's done. But this cooking style is revolutionary for me, and anyone and everyone with busy lives. I have an ever growing list of recipes I want to try in it. The best things I made this week in it was this Tortilla Soup. I can't stop thinking about how delicious it was. Add the oil, then the onions, saute until the onions start to get translucent, add the carrots, celery, and garlic, saute a minute more, add the cilantro, cumin, chili powder, and paprika. Then add the chicken broth, water, diced tomatoes with green chiles, salt, pepper, and tortillas. Place the lid on the instant pot. Make sure the seal valve is closed. Turn on the soup button, which will default at 30 minutes. Once the soup is done, release the steam with the quick release, you can also natural release if you have more time. 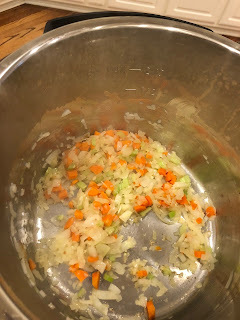 Using an immersion blender, blend the soup right then and there until its almost smooth. Taste and check if it needs more salt. Squeeze in half a lime and stir to incorporate. Garnish the soup as desired to serve. Preheat oven to 375 degrees. Cover a baking sheet with parchment. Brush the tortillas with oil. Stack them, and cut into very thin long strips. Sprinkle with kosher salt. Bake for 10-15 minutes, until crisp and starting to brown. Now, I'm really hoping you will drink the kool-aid and join me in my new addiction. 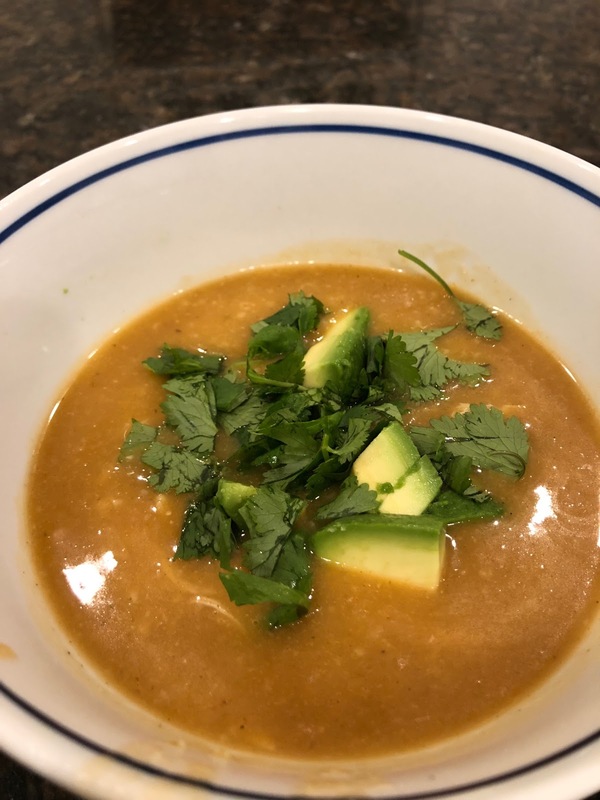 There are some Instant Pot groups on Facebook, lots of recipe pins of Pinterest, and if you can find a friend that has one, you will have endless ideas of things to make with it. We are back in the swing of things. School started 2 weeks ago. We have homework, 2 seperate basketball teams, carpools, playdates, and swimming lessons. Basically, I am pulled in 20 different directions. This leaves me with little time to prepare dinners. The best kind of dinners these days are the ones that I can make quickly. These turkey eggroll bowls are delicious and nutritious. You could serve it with plain steamed rice, or those Chinese crispy noodles. Kikkoman now makes a kosher and gluten free hoisin sauce. It is so good! I put a little bit on top of my eggroll bowl, I highly suggest it! Would also be good with Srichahchachachachaha sauce if you like it a little bit spicy. 3. Add the soy sauce, sherry cooking wine, sesame oil, ginger, salt, and pepper. Sprinkle the top with onion powder and garlic powder. Taste and adjust salt, pepper, seasonings accordingly. 4. Continue to cook stirring, until completely mixed and looks like the inside of an eggroll. 5. Serve with hoisin sauce, or sweet-n-sour sauce, or srichaha sauce, and steamed rice on the side. Last week my oldest turned 10! Time is seriously flying. In honor of his birthday I made him a Shabbat dinner. He requested I make chopped beef barbecue brisket sandwiches. I don't have a smoker, and I didn't want to let him down. 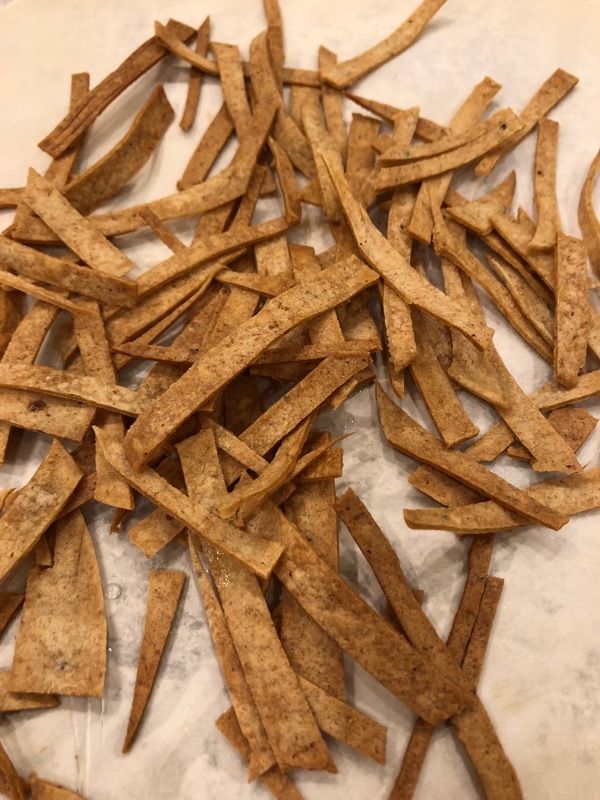 So I came up with an alternative to smoking the brisket and still having that barbecue flavor. Alongside the meat, we had all of the fixings: coleslaw, pickles, barbecue sauce. The dinner was a huge hit, and it was too easy. I am so excited I've been able to get my domain www.leehock.com back!!! It's a loooong story. It took lots of time, and figuring it out. Just know I feel like a computer programmer at this point. This chicken for me is soul food. This recipe almost cannot qualify as a recipe because it is embarrassingly easy. 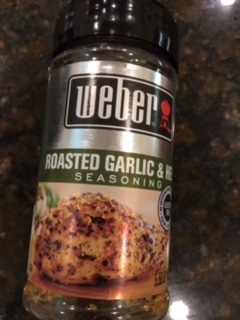 I have been making this once a week lately, it's so delicious, and it is even good the next day cold out of the fridge. I serve it with basmati rice, and a vegetable or salad. So simple! Sprinkle with the seasoning, on both sides. Coconut rice is so easy, and so good. Serve with teriyaki marinated grilled chicken and steamed broccoli for a perfect dinner. 1. Place rice in a colander or sieve and rinse until the water runs clear. 3. Bring to a boil uncovered, once boiling, stir, cover with the lid, and then turn the heat to low. Cook for 20 minutes. This cake is not for the faint of heart bakers. This cake will take over your life. This cake will invade your every thought. Have you ever been to Momofuku Milk Bar? I was in New York City late last summer with my sister and she was adamant we pay a visit to this place. She wanted some Cereal Milk Soft Serve Ice Cream. So, we went and all I can say is whoa. Cereal milk flavor is all the rage right now, it's the milk leftover after you eat a bowl of cereal. Unfortunately, I couldn't partake in the Cereal Milk flavor because I have to eat gluten free. 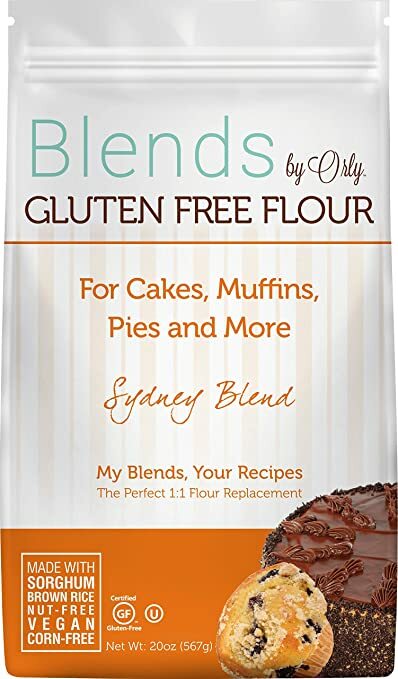 I was diagnosed with Celiac a year ago, which I could talk about for hours on end, but for right now I'll save it for another time. I had the cola flavored soft serve, I still can't wait to return to this place. Last week, a friend of mine posted that she attempted this cake. All I know is I saw it and knew I had to make it, and luckily I had a reason, my Liam's 5th birthday! I made 2 versions, parve and gluten free parve. It's a good idea to watch this video before you attempt this cake, I must of watched it 4 times! Preheat oven to 350°. Line a 13x9" rimmed baking sheet with parchment paper and coat with nonstick spray; set aside. I sprayed the whole pan first, then added the parchment, and then sprayed the parchment. Whisk flour, baking powder, salt, and ¼ cup sprinkles in a large bowl. Combine parve buttermilk, oil, and vanilla in a medium bowl. Remove cake from oven and cool on a wire rack. Do ahead: Store cooled cake wrapped in plastic in fridge up to 5 days. Do ahead: Wrap crumbs tightly in plastic and store at room temperature up to 5 days. Combine margarine, shortening, and Tofutti cream cheese in large bowl of a stand mixer fitted with the paddle attachment. Beat on medium-high until mixture is smooth and fluffy, 2–3 minutes. Scrape down sides of bowl and slowly stream in corn syrup and 1 Tbsp. vanilla. Beat until mixture is silky smooth and glossy white, about 3 minutes. Scrape down sides of bowl and, with mixer on low, add powdered sugar, baking powder, and citric acid until just combined. Increase speed to medium-high and beat until it's completely smooth. Place a piece of parchment on a counter. Invert cake onto parchment, then peel parchment off of the cake. Use cake ring to punch out two 6" rounds from cake (or, using a springform pan as a guide, cut out 2 rounds using a paring knife). These are your top 2 cake layers (the remaining cake scraps will form the bottom layer of the cake). Combine soy milk and remaining 1 tsp. vanilla in a small bowl. Spoon soymilk mixture and use half of it to generously moisten the base layer. At least 3 hours before serving the cake, pull sheet pan out of freezer and, using your fingers and thumbs, pop cake out of cake ring. Gently peel off acetate and transfer cake to a platter or cake stand. Defrost in fridge at least 3 hours. Store cake in the refrigerator. All I can say is go for it and good luck!! !